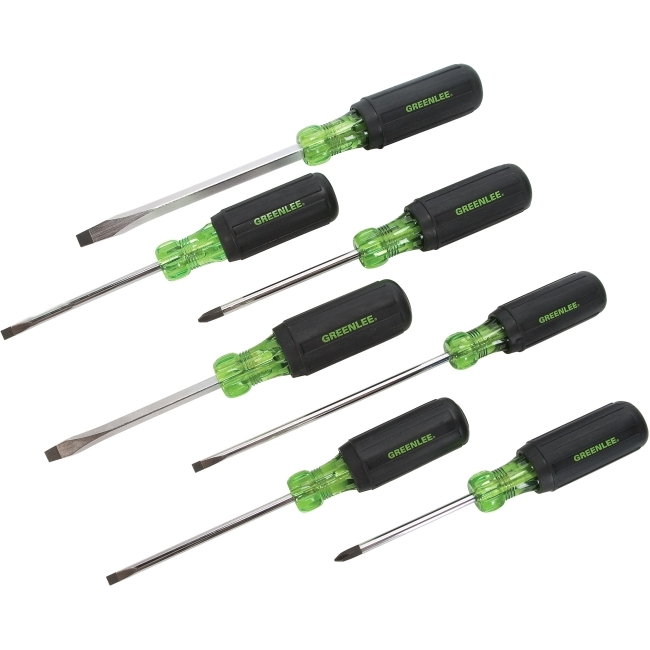 Screwdriver Set features heavy-duty construction for longer life. Handle marked for easy identification of screwdriver size, type, and length. Precision-machined tips for accurate fastener contact. Strong, durable black phosphate tips prevents plate chipping and reduces slipping. High-grade, rust resistant, chrome-plated finish. Soft, cushioned grip for extra comfort and torque. Exceeds ASME/ANSI specifications. Lifetime limited warranty. This is not an insulated tool.